Simplicity and technology, together like never before. Forget annoying, tangled wires. Embrace the future of wireless headphones with the Apple AirPods and unlock the potential of your Apple devices. When removed from their charging station, AirPods instantly turn on and connect to your device. The moment you place them in your ears, they automatically play audio, and then pause audio as soon as you take them out. Tasks such as adjustments to volume, track advancing and making a call are as simple as double tapping to activate Siri. 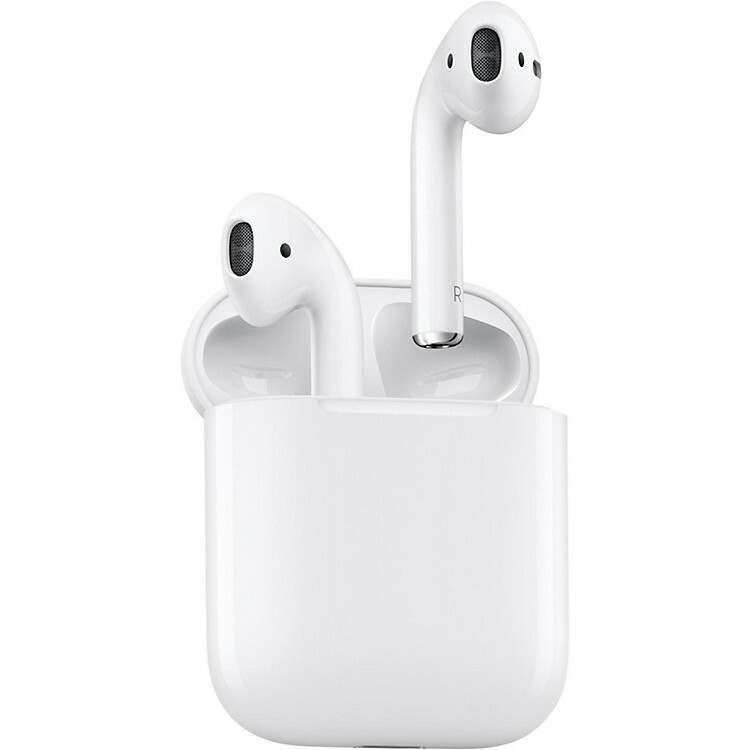 AirPods employ an accelerometer in conjunction with beamforming microphones to filter out background noise and focus on the sound of your voice when making calls or talking to Siri. Driven by Apple’s custom-designed W1 chip, AirPods also use optical sensors in conjunction with their accelerometer to detect when they’re in your ears. Whether you’re using both AirPods or just one, the W1 chip automatically routes the audio and engages the microphone. With their amazingly efficient power consumption rate, AirPods boast an industry-leading five hours of listening time on one charge. And thanks to the included charging case that holds multiple charges for more than 24 hours of listening time, your AirPods can keep up with you on the go. To unleash the power and flexibility of your Apple devices, order yours today.